Secrets of the trade from Harry J. Friedman – the master of retail selling and sales training! If you only read one book this year, this should be it! 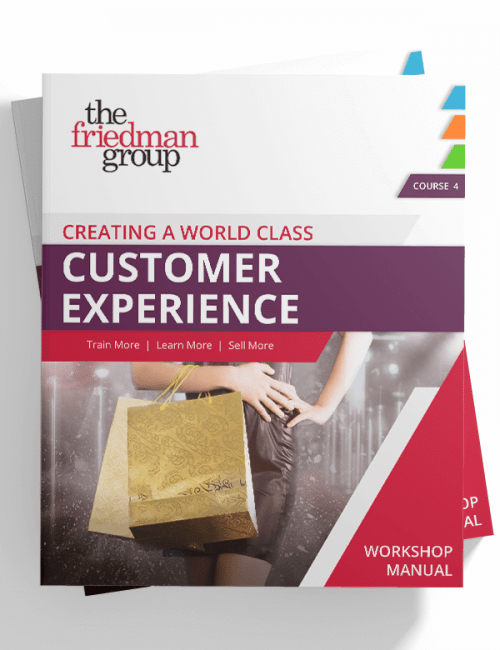 Retail guru Harry J. Friedman’s personal collection of proven selling techniques gives you the inside scoop on how to skyrocket your sales career. Included are all the tips and humorous anecdotes that have made him retail’s most sought-after consultant. No one else can show you how to turn “I’m just looking” shoppers into devoted life-long customers. Perfect for owners, managers and salespeople, this book reads like a can’t-put-it-down novel and will save countless hours of trial-and-error experience, so you can just focus on the easy to learn, non-pushy techniques that will make you more money. Also available in hardcover and ebook from Amazon, Barnes & Noble, Books-A-Million, Indie Bound and Wiley. *Note to previous buyers of this book – The content of this book has not changed; the cover has been updated and it is being distributed internationally by John Wiley & Sons Publishing.